The starting grid of the Grand Prix of San Marino in 2017 of MotoGP will be determined by the outcome of the qualifications that will be held at Misano this afternoon. What could we expect in these official trials on the Santa Monica circuit Romagna track? First of all, it should be noted that so far Marc Marquez has undoubtedly been the dominant of the Saturday , who is trying to extend to a hypothetical qualification rankings: there have been six starts from the first box of the starting grid for the World Champion in office, of which four consecutive in the last four exits from the Sachsenring onwards; three poles for Maverick Vinales(one in Qatar thanks to the free time since the qualifying was canceled at Losail), but the latter goes back to Mugello more than three months ago, two for Dani Pedrosa and one for Johann Zarco in the first twelve seasonal outings. We can therefore first note that there are no Italian pilots on this list, with the French Zarco who in Assen broke the otherwise total hegemony of the Spanish centaurs. The absence of first Italian seats on the starting grid, however, does not disappoint us too, because on Sundays the satisfaction is almost never missed by our representatives in MotoGp, in particular Andrea Dovizioso and Valentino Rossi, although the Doctor's injury now clearly separates the destinies of our two centaurs for the season finale. 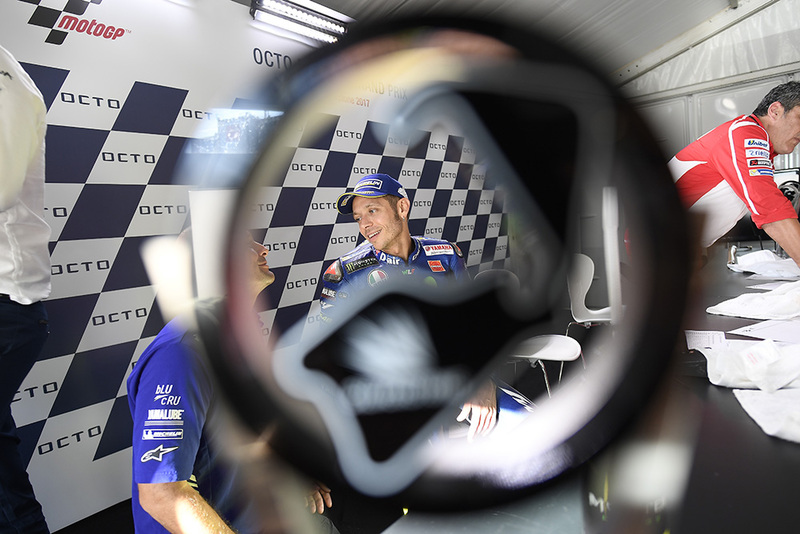 In the last streak of four races with Marquez always in pole position we find two victories for the Dovi, first at Zeltweg and then two weeks ago at Silverstone. Honda leads 8-4 on Yamaha and the two Japanese homes have distributed their pole positions in different ways: only for official Marquez and Pedrosa riders in Honda's home, with Dani having however signed the last three-month pole he does Montmelò, Vinales blaze and Zarco's contribution to Yamaha, but he does not sit in front of everyone on the starting grid from Assen. Still dry the Ducati, who knows if Misano will be a good time to see Red in front of everyone on the starting grid for the joy of the home crowd. There is, however, to be said that all this is not a big problem: Dovizioso has won four Grand Prize, more than he had won throughout his career in the queen class, while from Casey Stoner's time that no pilot Ducati won at least three season races. In short, for the Ducati will be a special appointment and with the cheering of all Italy, which will focus on Red in the absence of Rossi.